FlowTV Special Issue CFP – Sports Media: Tensions and Transitions | Jacqueline Ryan Vickery, Ph.D.
How have fan experiences been transformed by transitions from radio to television, network to cable, and television to the internet? 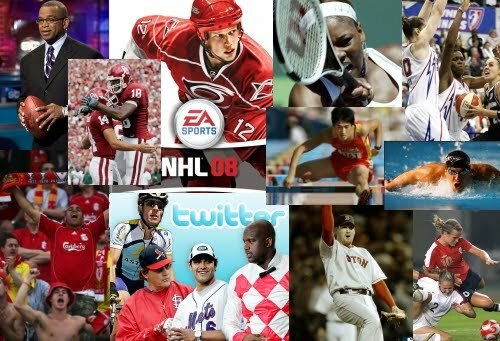 How have the games, players, fans, and leagues been transformed by these media developments? What of other technological developments such as screens in arenas, ballparks and stadiums? What is the social significance of fans’, players’, coaches’ and leagues’ use of social media technologies such as Twitter, Facebook, iPhones, and blogging? How do all of these developments change the fan experience and notions of fandom? And how do these developments contribute to athletes’ ability to construct and promote their own celebrity image? Should players be given a voice via personal blogs or Twitter and what does it mean when leagues regulate and silence these voices? What happens to traditional gatekeeping roles when fans become the experts and journalists are bypassed by amateur coverage and footage? How have discourses and representations of gender, race, class, sexuality, and ethnicity progressed (or not) over the decades? How do advertisers, journalists, and leagues reinforce rigid constructs and representations of “the athlete” and “the fan”? We encourage submissions that highlight and critically analyze contemporary or historical tensions between sports leagues, media industries, technological developments, fans, athletes, representations, and/or significant case studies. We welcome submissions which address any sport, American or International, professional and amateur from tennis and golf, to rugby and hockey, to college football and professional basketball. Flow has a longstanding policy of encouraging non-jargony, highly readable pieces and ample incorporation of images and video. Please send submissions (attached as a Word doc) of between 1000-1500 words to Co-Coordinating Editors Alex Cho and Jacqueline Vickery no later than Monday, October 5, 2009.